'Howl at the moon' this Halloween in a Werewolf fancy dress costume. 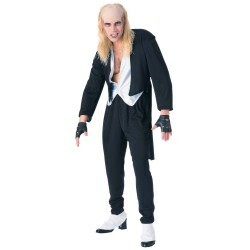 Come back from the dead and walk amongst the living in a Frankenstein costume. 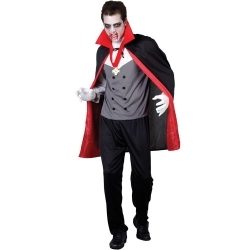 Sink your teeth into a Vampire cape and become Dracula the Lord of Darkness himself. 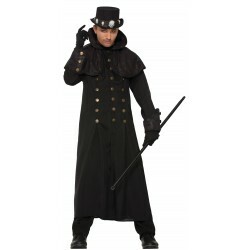 Become spellbound in a Wicked Wizard halloween costume or embrace the spirit of Halloween with a scary Ghost costume. 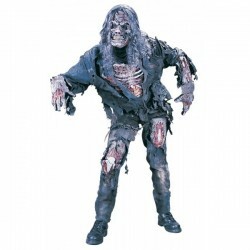 Walk with the undead as a scary Zombie or unleash the demon inside and transform into the Devil. 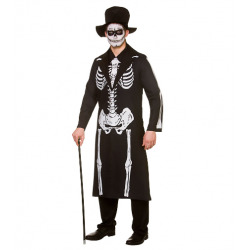 Whatever you are dressing up as, we have a spooktacular range of mens Halloween fancy dress costumes to choose from, plus many more creepy and scary dressing-up options and Halloween costume ideas that will give maximum gruesome impact and have heads turning completely around! Dont forget to add one or two horror props to make your halloween costume even more scary.